Abdel-Samie, A.G., Gad, A., and Abdel-Rahman, M.A. (2000). Study on desertification of arable lands in Egypt. III. Drift sands and active dunes. Egyptian Journal of Soil Science 40: 385-398. Agnew, C.T. (2000). Using the SPI to identify drought. Drought Network News 1: 6-11. Alley, W.M. (1984). The Palmer Drought Severity Index: Limitations and assumptions. Journal of Climate and Applied Meteorology 23: 1100-1109. Anonymous (2000). Conclusions and recommendations from the Central and Eastern European Workshop on Drought Mitigation. Drought Network News 12(2): 11-12. Ayoub, A. (1998). Degradation of dryland ecosystems: Asessments and suggested actions to combat it. Advances in Geoecology 31: 457-463. Bedo, D. (1997). Rainfall decile analysis for drought exceptional circumstances (DEC). In White, D.H. and Bordas, V. (Eds. ), Proceedings of the Workshop on Indicators of Drought Exceptional Circumstances (pp. 19-20). Canberra, Australia: Bureau of Resource Sciences. Bogardi, I., Matyasovszky, A., Bardossy, L., and Duckstein, L. (1994). Estimation of local and areal drought reflecting climate change. Transactions of the American Society of Agricultural Engineers 37: 1771-1781. Brook, K. (1996). Development of a National Drought Alert Strategic Information System. Research Summary, Final Report on QPI 20 to Land and Water Resources Research and Development Corporation, Volume 1. Canberra, Australia: LWRRDC. Carter, J. and Brook, K. (1996). Developing a national drought alert framework. In Proceedings of the Managing Climate Variability Conference, "Of Droughts and Flooding Rains" (pp. 53-60). LWRRDC Occasional Paper CV 03/96. Canberra, Australia: Land and Water Resources Research and Development Corporation. Cheryl, A. (2000). Talking imperative for grieving farmers. Drought Network News 12: 12-14. Clark, A., Brinkley T., Lamont, B., and Laughlin, G. (2000). Exceptional circumstances: A case study in the application of climate information to decision making. Paper presented at Cli-Manage 2000, Albury, NSW, October 23-25. Cridland, S. (1997). Season quality in the rangelands as estimated fromNDVI data by Agriculture Western Australia. In White, D.H. and Bordas, V. (Eds. ), Proceedings of the Workshop on Indicators of Drought Exceptional Circumstances (pp. 59-61). Canberra, Australia: Bureau of Resource Sciences. di Castri, F. (1990). Enrayer la progression de la désertification: An enjeu mondial. (Stopping the progression of desertification: A world stake.) La Recherche 221: 638-643. Dixon, D. (1995). Drought Exceptional Circumstances Explained. Agnote ESU/7. Orange, Australia: NSW Agriculture. Donnelly, J. and Freer, M. (1997). Analysis of drought incidence in the Wellington district over the period 1901-1995. In White, D.H. and Bordas, V. (Eds. ), Proceedings of the Workshop on Indicators of Drought Exceptional Circumstances (pp. 33-35). Canberra, Australia: Bureau of Resource Sciences. Gibbs, W.J. and Maher, J.V. (1967). Rainfall Deciles As Drought Indicators. Bureau of Meteorology Bulletin No. 48. Melbourne: Commonwealth of Australia. Gommes, R. and Petrassi, F (1994). Rainfall Variability and Drought in Sub-Saha-ran Africa Since 1960. Agrometeorology Series Working Paper No. 9. Rome: Food and Agriculture Organization of the United Nations. Gonzalez, P. (2001). Desertification and a shift of forest species in the West African Sahel. Climate Research 17: 217-228. Graetz, D. (1997). Capturing and interpreting the behavior of the continental land surface, 1981 onward. In White, D.H. and Bordas, V. (Eds. ), Proceedings of the Workshop on Indicators of Drought Exceptional Circumstances (p. 57). Canberra, Australia: Bureau of Resource Sciences. Hare, K.F. (1993). Climate Variations, Drought and Desertification. WMO Publication No. 653. Geneva: World Meteorological Organization. Hayes, M. (1996). Comparison of Drought Indices. A Bulletin. Lincoln: National Drought Mitigation Center, University of Nebraska. Hayes, M. (2000). Revisiting the SPI: Clarifying the process. Drought Network News 12: 13-14. Horstmann, B. (2001). Desertification—A global problem. Entwicklung Landlicher Raum 35: 4-6. Hoven, I.G. (2001). The convention to combat desertification—Objectives and activities. Entwicklung Landlicher Raum 35: 7-11. Karl, T.R. and Knight, R.W. (1985). Atlas of Monthly Palmer Hydrological Drought Indices (1931-1983) for the Contiguous United States. Historical Climatology Series 3-7. Asheville, NC: National Climatic Data Center. Keating, B.A., Meinke, H., and Dimes, J.P. (1997). Prospectus of using a crop simulator to assess an exceptional drought: A case study for grain production in North-East Australia. In White, D.H. and Bordas, V. (Eds. ), Proceedings of the Workshop on Indicators of Drought Exceptional Circumstances (pp. 43-46). Canberra, Australia: Bureau of Resource Sciences. Kerley, G.H. and Whitford, W.G. (2000). Impact of grazing and desertification in the Chichuahuan desert: Plant communities, granivores and granivory. American Midland Naturalist 144: 78-91. Le Houerou, H.N., Popov, G.F., and See, L. (1993). Agro-Bioclimatic Classification of Africa. 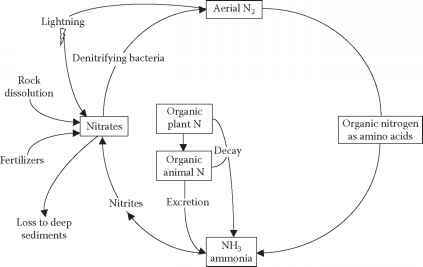 Agrometeorology Series Working Paper No. 6. Rome: Food and Agriculture Organization of the United Nations. Lembit, M. (1995). Commonwealth drought policies. In Coping with Drought—Report (pp. 57-65). Occasional Publication No. 87. Australian Institute of Agricultural Science. McKee, T.B., Doesken, N.J., and Kleist, J. (1993). The relationship of drought frequency and duration to time scales. Pre-prints, 8th Conference on Applied Climatology, January 17-22 (pp. 179-184). Anaheim, CA: American Meteorological Society. McKee, T.B., Doesken, N.J., and Kleist, J. (1995). Drought monitoring with multiple time scales. Pre-prints, 9th Conference on Applied Climatology, January 1520 (pp. 233-236). Dallas, TX: American Meteorological Society. McKeon, G. (1997). Development of a national drought alert strategic information system. In White, D.H. and Bordas, V. (Eds. ), Proceedings of the Workshop on Indicators of Drought Exceptional Circumstances (pp. 63-66). Canberra, Australia: Bureau of Resource Sciences. McVicar, T.R. (1997). The Use of Remote Sensing to Aid Decisions on Drought Exceptional Circumstances. Report to Bureau of Resource Science. Department of Primary Industries and Energy, Consultancy Report 97-14. CSIRO, Division of Water Resources. McVicar, T.R., Jupp, D., Yi, Q., and Guoliang, T. (1997). Remote sensing and drought exceptional circumstances: An underutilised resource. In White, D.H. and Bordas, V. (Eds. ), Proceedings of the Workshop on Indicators of Drought Exceptional Circumstances (pp. 53-55). Canberra, Australia: Bureau of Resource Sciences. Murty, V.V.N. and Takeuchi, K. (1996). Assessment and mitigation of droughts in the Asia-Pacific region. In Murty, V.V.N. and Takeuchi, K. (Eds. ), Land and Water Development for Agriculture in the Asia-Pacific Region (pp. 98-119). Barking, UK: Science Publishers, Inc.
National Drought Mitigation Center (1996a). Basics of Drought Planning. A Bulletin. Lincoln, NE: Author. National Drought Mitigation Center (1996b). The Devastation of Drought. A Bulletin. Lincoln, NE: Author. National Drought Mitigation Center (1996c). What Is Drought? A Bulletin. Lincoln, NE: Author. National Drought Mitigation Center (1996d). What We Can Do About Drought. A Bulletin. Lincoln, NE: Author. National Drought Mitigation Center (1996e). Why Drought Has Been Hard To Prepare For. A Bulletin. Lincoln, NE: Author. Oba, G., Post, E., and Stenseth, N.C. (2001). Sub-saharan desertification and productivity are linked to hemispheric climate variability. Global Change Biology 7: 241-246. Olulumazo, A.K. (2000). Improving Tenure Security in Northern Togo: A Means to Address Desertification. Issue Paper Dryland Programme No. 20. Dakoui, Senegal: International Institute for Environment and Development. Palmer, W.C. (1965). Meteorological Drought. Research Paper No. 45. Washington, DC: U.S. Weather Bureau, Department of Commerce. Palmer, W.C. (1968). Keeping track of crop moisture conditions, nation-wide: The new Crop Moisture Index. Weatherwise 21: 156-161. Pandey, A.N., Pamar, T.D., and Tanna, S.R. (1999). Desertification: A case study from Saurashtra region of Gujarat state of India. Tropical-Ecology 40: 213-220. Queensland Department of Primary Industries (1995). Conditions and Procedures for Drought Declaring Individual Properties. Information Sheet. Brinsbane, Australia: Author. Quiring, S.M. and Papakryiakou, T.N. (2003). An evaluation of agricultural drought indices for Canadian prairies. Agricultural and Forest Meteorology 118: 49-62. Rural Industry Business Services (1997). Drought Bulletin. Queensland Department of Primary Industries, October, No. 10. Saiko, T.A. andZonn, I.S. (2000). Irrigation expansion and dynamics of desertification in the Circum-Aral region of central Asia. Applied Geography 20: 349-367. Shafer, B.A. and Dezman, L.E. (1982). Development of a Surface Water Supply Index (SWSI) to assess the severity of drought conditions in snowpack runoff areas. In Proceedings of the Western Snow Conference (pp. 164-175). Fort Collins: Colorado State University. Sivakumar, M.V.K. (1991). Drought Spells and Drought Frequencies in West Africa. ICRISAT Research Bulletin No. 13. Patancheru, India: International Crops Research Institute for the Semi-Arid Tropics. Sivakumar, M.V.K., Stigter, C.J., and Rijks, D. (2000). Foreword. Agricultural and Forest Meteorology 103: 1-2. Smith, R. (1996). Managing climate variability from satellite mesures of vegetation growth. In Proceedings of the Managing Climate Variability Conference, "Of Droughts and Flooding Rains" (pp. 48-51). LWRRDC Occasional Paper CV 03/96, Canberra, Australia: Land and Water Resources Research and Development Corporation. Smith, S.M. and McKeon, G. (1997). Assessing the frequency of drought events in rangeland grazing properties. In White, D.H. and Bordas, V. (Eds. ), Proceedings of the Workshop on Indicators of Drought Exceptional Circumstances (pp. 2728). Canberra, Australia: Bureau of Resource Sciences. Stehlik, D., Gray, I., and Lawrence, G. (1999). Drought in the 1990s. Australian Farm Families Experience. RIRDC Publication No 99/14. Canberra, Australia: Rural Industries Research and Development Corporation. Stephens, D.J. (1996). Objective Criteria for Drought Exceptional Circumstances Declaration—Cropping Area. Final Report. Perth: Agriculture West Australia. Stephens, D.J. (1997). Objective criteria for Drought Exceptional Circumstances Declaration—Cropping areas. In White, D.H. and Bordas, V. (Eds. ), Proceedings of the Workshop on Indicators of Drought Exceptional Circumstances (pp. 37-39). Canberra, Australia: Bureau of Resource Sciences. Stigter, C.J., Sivakumar, M.V.K., and Rijks, D. A. (2000). Agrometeorology in the 21st century: Workshop summary and recommendations on needs and perspectives. Agricultural and Forest Meteorology 103: 209-227. Wang, C.Y. (1990). Desertification monitoring withremote sensing technology and GIS (study of Yilin County, Shaanxi Province, as an example). Chinese Journal of Arid Land Research 3: 193-198. Wang, S., Zheng R., and Yang, Y.L. (2000). Combating desertification: The Asian experience. International Forestry Review 2: 112-117. White D.H. (1997). Providing scientific advice on drought exceptional circumstances. In White, D.H. and Bordas, V. (Eds. ), Proceedings of the Workshop on Indicators of Drought Exceptional Circumstances (pp. 1-11). Canberra, Australia: Bureau of Resource Sciences. Wilhite, D.A. (2001). Creating a network of regional drought preparedness networks: A call for action. Drought Network News 13: 1-4. Zhang, D.F. and Bian, J.M. (2000). Analysis of the eco-environmental vulnerable mechanisms of land desertification in the farming-pastoral ecotone in northern China. Arid Land Geography 2: 133-137.